On the Upper East Side, lived Marie and mother Flo. to Marie who'd spend hours behind the closed door. But the Eve is upon us. It's Nineteen Sixty Three! while crossing the street she's bumped by a car. But Barbie is coming, Ken's not far behind!" The delightfully bizarro Nutcracker (not so) Suite is described thusly. 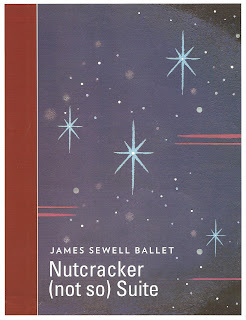 While I admittedly have never seen the original Nutcracker ballet (disclaimer: I'm a theater geek who doesn't know much about dance), the plot sounds fairly similar - after a Christmas Eve party, a young girl dreams of strange and enchanting things. 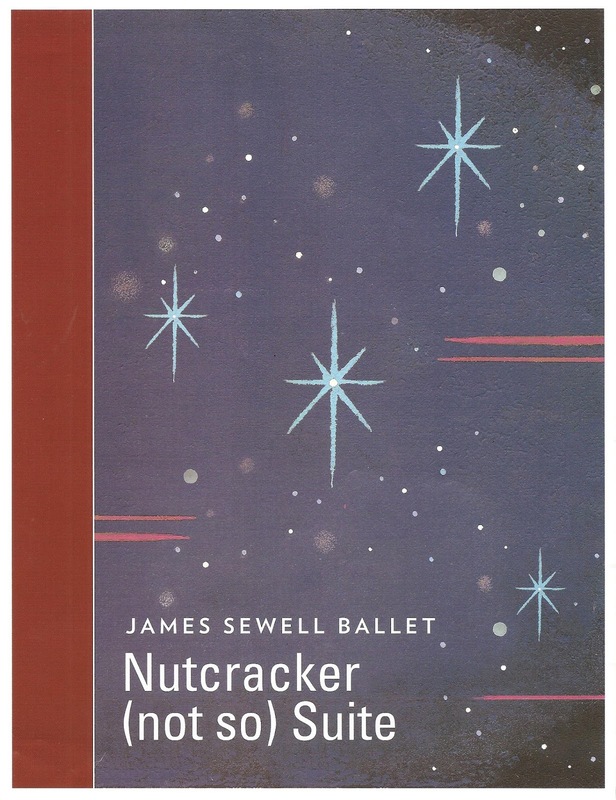 But this Nutcracker, originally created by Myron Johnson for his company Ballet of the Dolls and presented this year by James Sewell Ballet, is set in late '60s NYC. The young girl in question is the neglected only daughter of a boozy mother, and the dolls she dreams about are her beloved Barbie dolls. For any little girl (or boy) who ever dreamed her (or his) Barbies to life, this Nutcracker is a bewitching delight. After a full day of shopping in the city, Flo and her daughter Marie prepare for her Christmas Eve party. Flo is the only character who speaks, the rest of the story is told through music and dance. The fashionable guests arrive and the dancing and gift-giving begins. Flo imbibes a little too much and causes a scene (appropriately to Bernadette Peters singing "Rose's Turn"), breaking up the party and prompting Marie to run away into the dark and seedy city. After being hit by a car, she dreams weird dreams of Barbie, Ken, her mother, and other people she knows until, like Dorothy, she realizes that there's no place like home and is brought back to the mother who, despite her faults, loves her and welcomes her home. 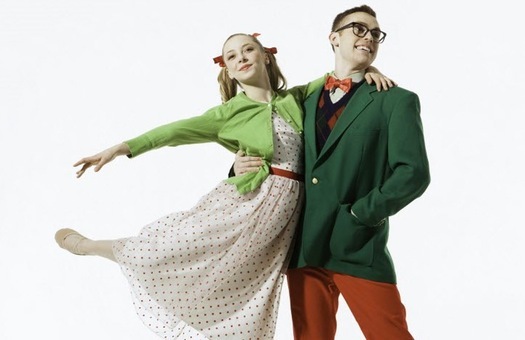 The music is an eclectic mix of '50s/'60s pop holiday classics, such as Andy Williams (my mom's favorites, so I grew up with his Christmas album) and "Rockin' Around the Christmas Tree." I would love a soundtrack of this mix as an alternate to the usual holiday tunes played on repeat (although sometimes the music was uncomfortably loud). The cool late '60s swingin' vibe continues into the choreography (by Myron Johnson, who also appears in the show) that adds '60s moves to classic ballet, the smashing wardrobe (by Eve Schulte and Fritz Masten) that looks fab but still allows for movement, and retro set (by Steven Rydberg) that looks like something out of a '60s sitcom. Kevin McCormick as mother Flo is perhaps the best thing about the show. It's obvious he's played the role many times because he knows who this woman is and portrays her in all her craziness - she fancies herself a wonderful mother but in truth is more concerned with her pills, drinks, clothes, and other outwardly things - but in an endearing and entertaining way. As the little girl Marie, Deanna Gooding is sweet and adorable with her bouncy curls and open expressive face, and she dances like a dream! Her partner Jordan Lefton couldn't be cuter as Marie's nerdy crush, and as if that's not enough, he is a perfect Ken doll with his stiff movements, never changing smile, and plastic hair. Kelly Vittetoe is ballerina Barbie come to life. She looks about seven feet tall when standing on her toes, with a high blond ponytail and robotic movements. This Barbie and Ken are quite a pair. I knew James Sewell was a magician of a dancer and choreographer, but I didn't realize he was an actual magician, performing party tricks that had me asking "how'd he do that?!" Nutcracker (not so) Suite was the first in a two-show day at the Cowles Center (show #2 was Miss Richfield 1981 upstairs at Illusion Theater, more on that soon), and an excellent addition to my holiday theater season. You might want to consider including it in your holiday theater schedule as a break from, or complement to, the usual fare. Continuing at the Cowles Center through next weekend only (discount tickets available on Goldstar).